We are an established Banking and Financial Recruitment Agency that is currently celebrating its 16th year in business. As a member agency of the NRF, we are committed to the best practice by voluntarily adhering to the NRF code of conduct. A leading Dublin recruitment agency, we offer specialist niche advise to both our candidates and clients so that we deliver the best service as possible. Once you apply and register your interest with us, our experienced team will be on hand to coach you through your job search and beyond. We are here to provide advice, guidance, and support professionals looking for roles ranging from Accountancy to Fund Administration along each step their career. We pride ourselves on our Consultative approach, thoroughly building strong relationships and genuinely understanding what it is that you need. With our multi-national and indigenous range of financial services clients, we are dedicated to finding the right opportunity for you. How do I apply to Quest Recruitment? You can apply to us by sending us a copy of your most recent CV or by calling us on 01 676 0505. 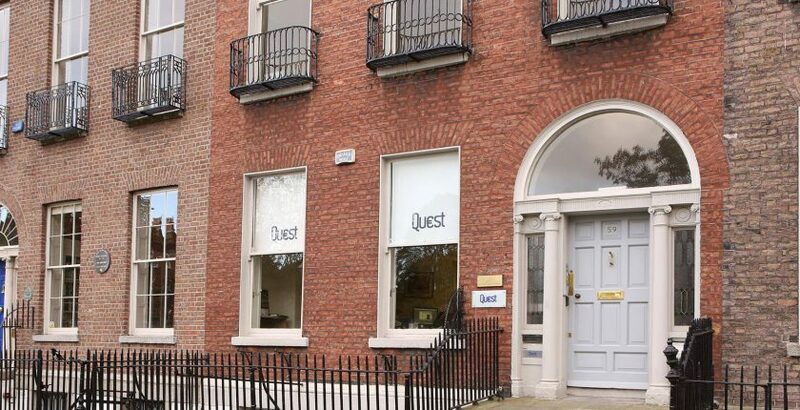 I am unsure about what role I want to apply to but I would like to register with Quest Recruitment. As we are a banking and financial recruitment agency, we are always very happy to register candidates within the sectors we specialise in; Fund Accounting and Administration, Accounting, Financial Technology , HR and Compliance. The easiest way to register with us is by calling 01 676 0505. Alternatively, you can upload your your CV on our Contact Page and send it through filling out the quick form on the same page.